During a 2009 trip to Ethiopia as ambassador for World Vision Australia, Hugh Jackman met a young coffee farmer named Dukale. The outstanding coffee Dukale shared, nurtured by his own hands, reflected the distinctive qualities of the land and a tradition of farming practices passed along from generation to generation. 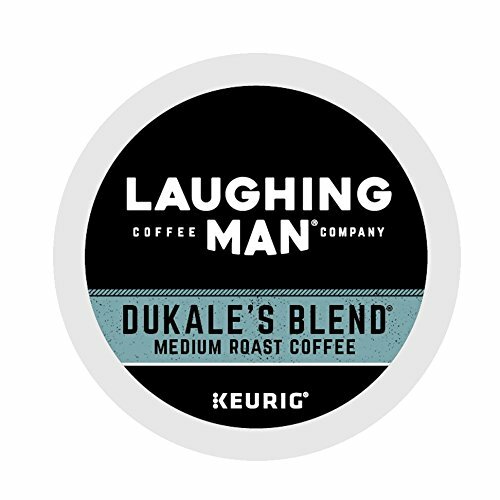 This Laughing Man artful blend inspired by Dukale's generosity of spirit presents aromatics of ripe, dark fruits and a heavy, chocolatey body. The finish features bright citrus and floral notes characteristic of fine Ethiopian coffees. Now available in a recyclable K-Cup pod. During a 2009 trip to Ethiopia as ambassador for World Vision Australia, Hugh Jackman met a young coffee farmer named Dukale. The outstanding coffee Dukale shared, nurtured by his own hands, reflected the distinctive qualities of the land and a tradition of farming practices passed along from generation to generation. This Laughing Man artful blend inspired by Dukale's generosity of spirit presents aromatics of ripe, dark fruits and a heavy, chocolatey body. The finish features bright citrus and floral notes characteristic of fine Ethiopian coffees. If you have any questions about this product by Laughing Man, contact us by completing and submitting the form below. If you are looking for a specif part number, please include it with your message.